If THE LANDING sounds like a place you want to be, follow these simple steps to get started. 1. Login – Your username is your NRDS number and in most cases your password is the last four digits of your real estate license number. You can now customize your password. If you have trouble logging in, email us. 2. Set up Your Profile – Upload a photo of yourself and complete your bio. You can easily update your profile by bringing your information over from LinkedIn. 3. Customize your Privacy Settings - You can control who has access to the information you include on your profile by customizing your privacy settings. To access your Privacy Settings, navigate to your Profile, select My Account and Privacy Settings. Select from My Contacts, Members Only, Public, or Only Me for each item on your profile and then click save. 4. Join a Community - THE LANDING is home to many communities. Communities are where you engage with others, connect around a topic, share information and learn from one another. As a member of the Missouri REALTORS® you are automatically a part of our all member forum, Common Ground. Some communities are created by the association to conduct governance work. These types of communities (known as Committees) are open to anyone to join, just send us an email and we will get you access. Other Special Interest communities are open groups that you can join right from the site. Browse the list of communities and join! 5. Set Community Notifications - Once you are a member of some communities, you will want to set your email notifications. To access your Community Notifications, navigate to your Profile, select My Account and Community Notifications. 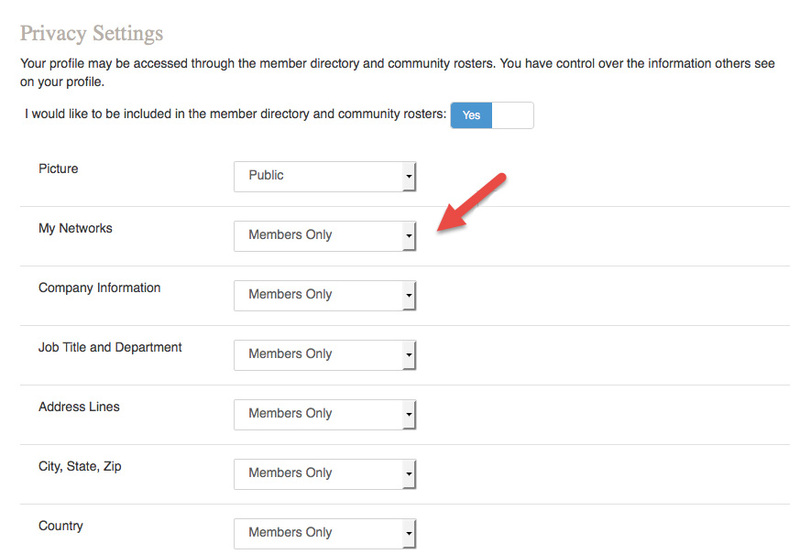 This is where you can set and control your email notifications from each community you are a member of. 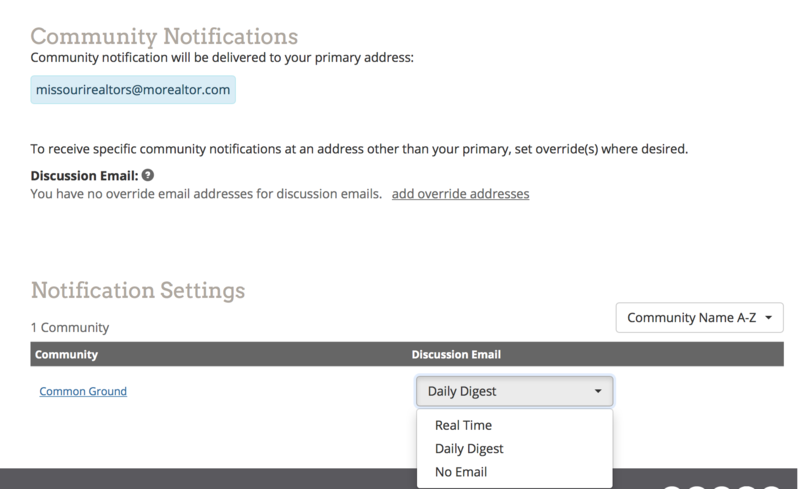 We recommend selecting either Real Time - which sends you an email notification as soon as someone post in that particular community, or Daily Digest - which will send you one email containing all discussion posts from the previous day per community. 6. Join the Conversation - Over 22,000 discussions have already taken place on THE LANDING. Join the conversation by creating a new discussion (click on Engage - Post a Message) or by replying to one that is already underway. Remember, conversations with all 21,000 members take place in our all member forum, Common Ground, while conversations around more specific topics happen within our communities. 7. Start Networking – Over 21,000 of your peers are on THE LANDING. Connect with them by sending them a contact request. Building out your contact list makes it easier to find and connect with members you know and creates a great source for referrals! Select Network - Members from the navigation. Then search for a member. Once you find them, click on "Add as Contact." Need help? Email us or give us a call at 800-403-0101.